The Highway 36A Coalition promotes a highway corridor linking Port Freeport to SH 6 north of Hempstead. We propose this highway to be a high-speed facility with grade separations allowing unimpeded traffic flow on the main lanes. South of Rosenberg, existing SH 36 ties to Port Freeport with an existing two-lane highway. There is no connecting facility north of Rosenberg. 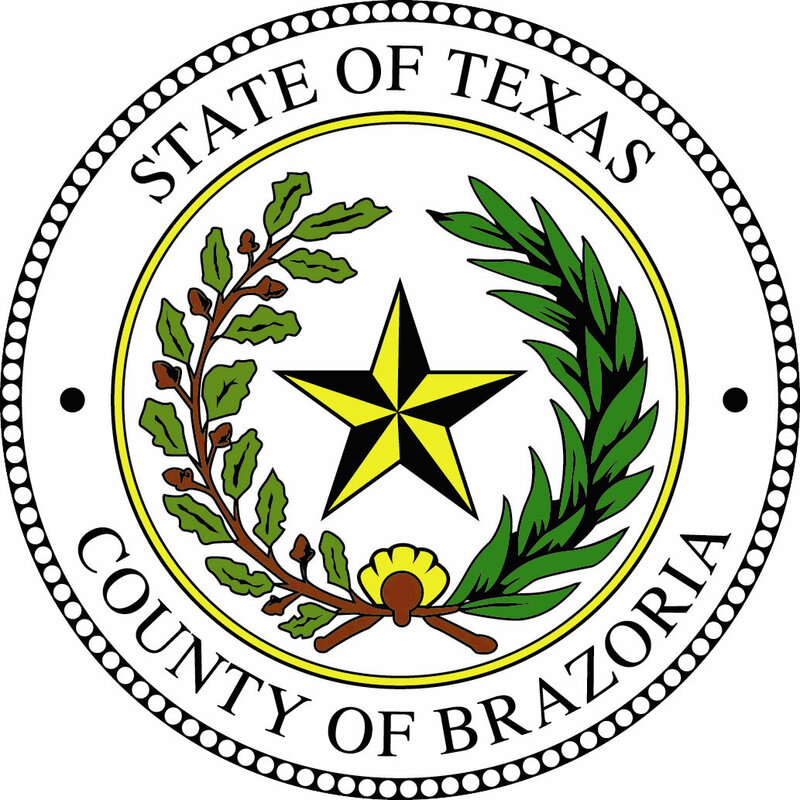 Waller County has identified on its thoroughfare plan the Prairie Parkway, which could provide the connectivity we desire. 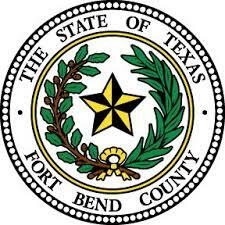 In Fort Bend County no route has been developed. While previous work along the corridor has been performed by various agencies, the 36A Coalition has not endorsed any particular route north of Rosenberg. Engineering studies will determine the most feasible solution, and we advocate the funding and performance of these studies as soon as possible. Our population is predicted to double in the next few decades. It is critical we plan this facility now. When it is time to construct 36A, our citizens should not be required to pay current prices for right-of-way, but instead have purchased it ahead of time before land values escalate. South of Rosenberg, we propose either improvements on the existing SH 36 or construction of a new location highway so that free flowing traffic occurs along the entire corridor. The Highway 36A Coalition realizes that a comprehensive mobility solution for the region involves a combination of multiple transportation modes. Therefore, in addition to highway improvements in the corridor, we seek to improve rail access to the port and develop inland multi-modal ports to improve commerce, improve the environment, and create jobs in the entire region. Portions of the proposed Highway 36A cross the Katy Prairie. Other portions of the alignment cross potentially environmentally sensitive regions. The Highway 36A Corridor will engage all stakeholders to promote transportation facilities in an environmentally responsible manner. We will encourage the use of Low Impact Development techniques to minimize impact on the adjacent land and the overall region, and make Highway 36A the most environmentally friendly roadway in the region (See EPA website on LID). At the request of the Katy Prairie Conservancy, the 36A Coalition has agreed to refer to highway improvements in Fort Bend and Waller Counties as something other than the "Prairie Parkway". 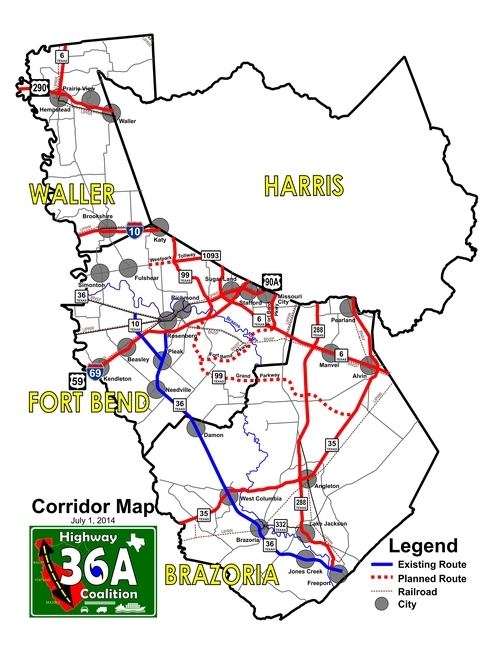 Therefore, the coalition will refer to the new road as "Highway 36A", whether or not it follows the current location of the Prairie Parkway as shown on the Waller County Thoroughfare Development Plan.